Chloe & Dan celebrated their marriage at the Lansdowne Hotel on Eastbourne seafront on a glorious hot and sunny day. 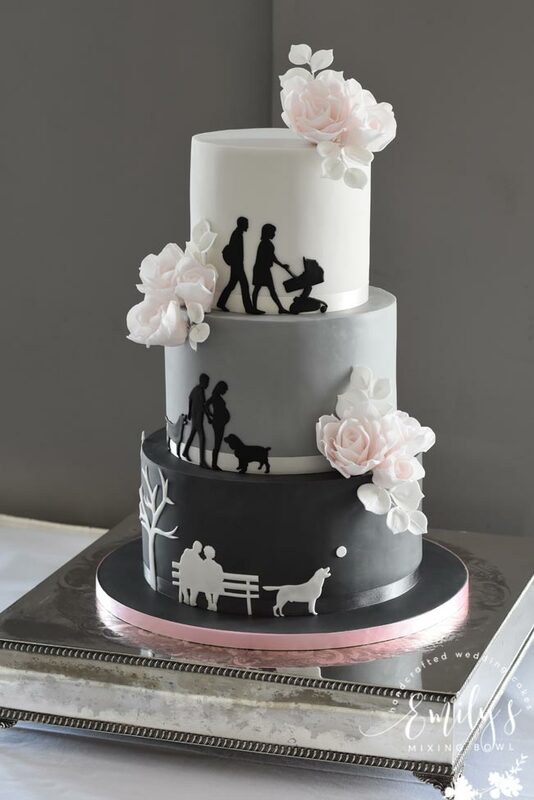 They wanted a cake which would be personal to them and reflect their life journey so opted for this silhouette design picturing their family growing over the last few years. 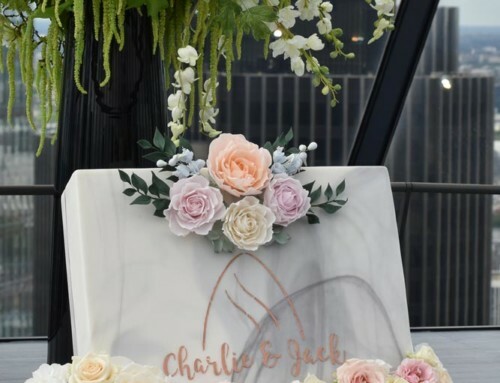 I loved the combination of grey and pink which softens the cake with sugar flowers.